It was a miracle we didn’t run smack into the back of it at 70mph. Through the pouring rain, the lumbering school bus had pulled out from nowhere and only a last-minute flick of the wheel had saved our bacon. But the ‘bus’ that had appeared as if by magic was made of cardboard and the ‘winding country road’ was a lane marked out by cones on an old wartime airfield in the middle of Wiltshire. 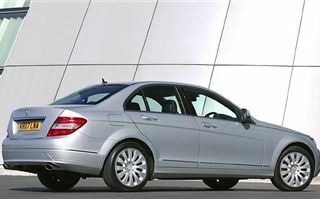 Although the rain was real, the make-believe road hazards were laid on by Mercedes-Benz to demonstrate the sharper steering and handling it claims is offered by a revised C-Class that went on sale last week [14 June]. Slightly wider, longer and taller by up to 55mm, the C-Class range has now been simplified from the previous five levels of trim to just three: SE, Elegance and Sport – with the four-cylinder petrol and diesel engines re-worked to deliver as much as 13 per cent more power and up to six per cent better fuel economy, while the three petrol V6 units remain unchanged. 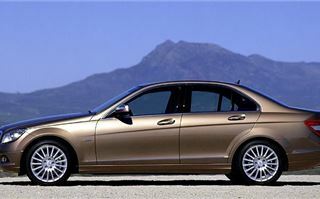 The Sport model is easily distinguished by a large Mercedes star positioned in the grille instead of the edge of the bonnet. 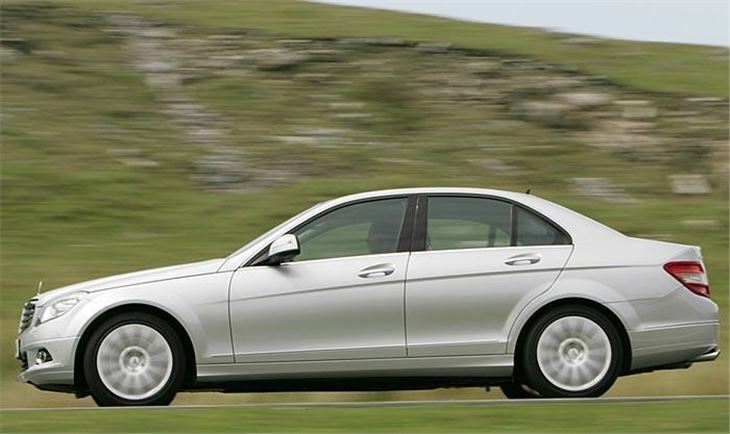 In spite of these enhancements, prices have been pegged or, in some cases, reduced by a few pounds, so that on-the-road prices start from £22,937 for the C180 Kompressor SE, rising to £35,577 for the C350 Sport. 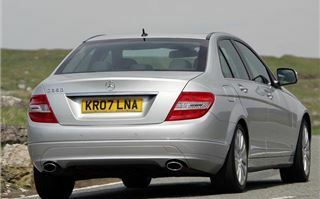 But perhaps the most welcome standard feature of the new C-Class is the introduction of a footbrake that stays ‘live’ for a few seconds and which means an end to the tricky ‘pas de deux’ on the pedals when moving off from rest on a hill. 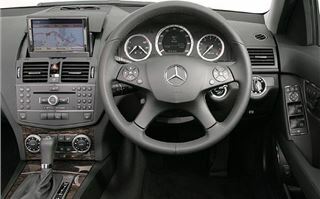 The foot-operated parking brake introduced by Mercedes to all models some years ago is fine when allied to automatic transmission - but for manual gearbox cars it can be a nerve-racking experience trying to match the clutch and accelerator with the release of a dead-feeling handbrake when parked on a slope, particularly at a busy junction. Called Hill Start Assist, the new system senses when the vehicle is on an incline and, with the car in gear, delays the release of the brakes after the driver’s foot is removed just long enough for the accelerator to be covered and the parking brake to be disengaged. 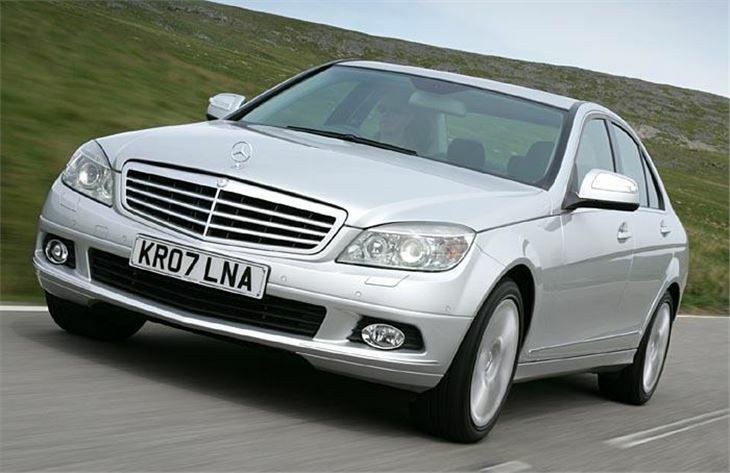 Privately, MB admits that the parking brake feature has cost them customers, with sales slipping from a peak in 2003 in the face of increasing competition from Audi A4, Jag X-Type, small Lexus and the ubiquitous 3 Series. Under the heading of Agility Control, C-Class now features as standard adaptive shocks that are soft round town and stiffen during press-on driving and hard cornering, while steering is also claimed to be ‘six per cent more direct’ – whatever that means – than the outgoing series. 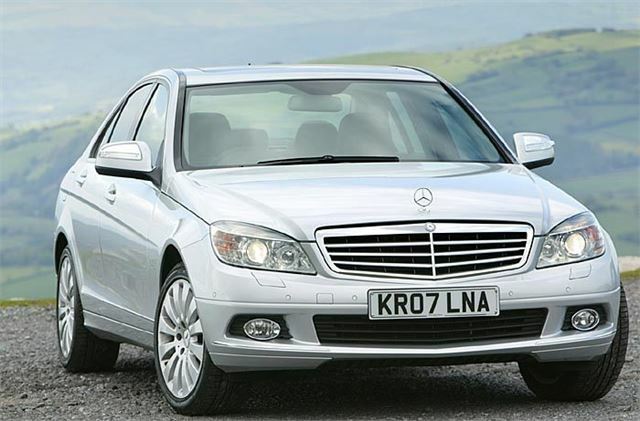 In addition, for an extra £490, buyers of automatic models from September will be able to choose an Advanced Agility package that offers switchable shift programme options and the S-Class’s Adaptive Brake system that can reduce stopping distance in an emergency. 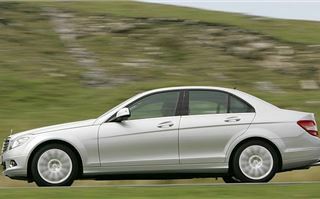 On the ‘pretend’ country road, the new C-Class really did handle well through very tight chicanes and round other obstacles, with a German-registered C280 fitted with the Advanced Agility package able to perform seemingly-impossible tight turns and changes of direction at very high speed. Back on a real road, however, a manual C 220CDi (expected to be the best seller in the UK) seemed disappointingly noisy and, if anything, the suspension felt as if the dampers weren’t working properly, resulting in a ‘bouncy’ ride and lots of lean through corners (perhaps I wasn’t driving fast enough for the shocks to stiffen up?) And that supposedly-sharper steering was a bit of let down, too, with a disconcertedly ‘unconnected’ feel in the straight-ahead position. In spite of its intrusive noise, the engine performed well and even with very tall gearing equivalent to almost 40mph per 1,000rpm in sixth, it would accelerate cleanly from 1,600 rpm in top, thanks to an 18 per cent improvement in torque to 400Nm. 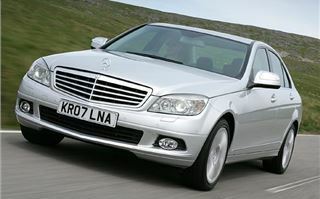 But the C 280 Kompressor was a rather different kettle of fish. 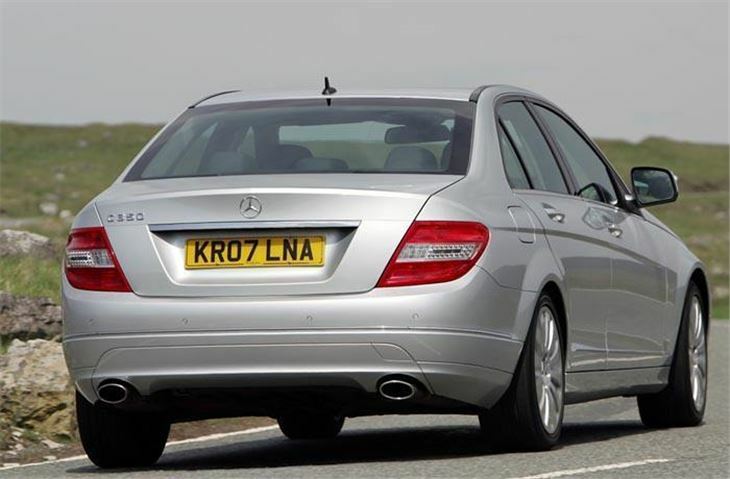 Yes, or course, improved performance, but the car felt much more ‘tied down’ to the road – with dampers that were stiffer but which actually gave a better ride over poor surfaces than the slower 220CDI..
Mercedes’ reputation for quality and reliability has taken a bit a of knock over the past few years – it used to the be the car of choice for German taxi drivers but many have switched to Opel (Vauxhall). 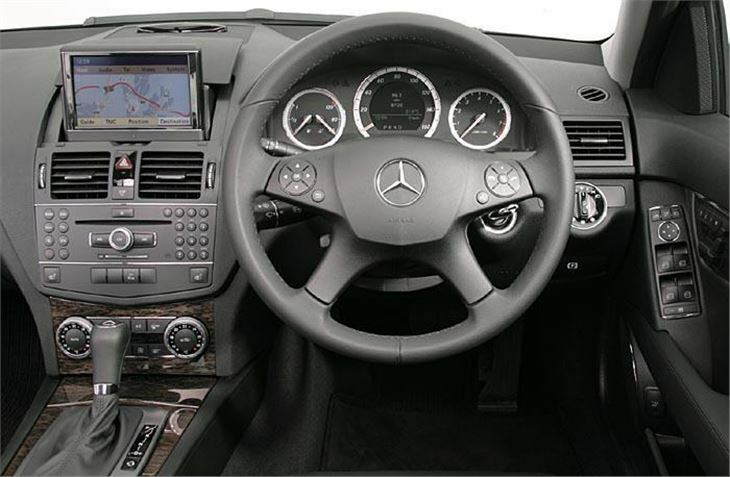 However, Mercedes seems to be getting its act together and addressing issues linked to on-board electronics. 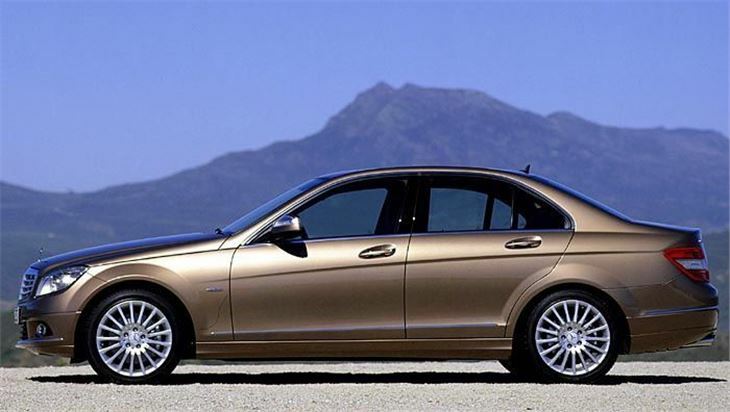 And the C-Class has been subjected to more than 15 million miles of testing, the most rigorous programme ever undertaken by the Stuttgart manufacturer.